One year since the adoption of the 2030 Agenda for Sustainable Development and its 17 Sustainable Development Goals (SDGs), more than 140 world leaders as well as high-level officials from the private sector, civil society and academia will gather at the United Nations this week to recognize the unprecedented global commitment made to end poverty and build a more sustainable world. 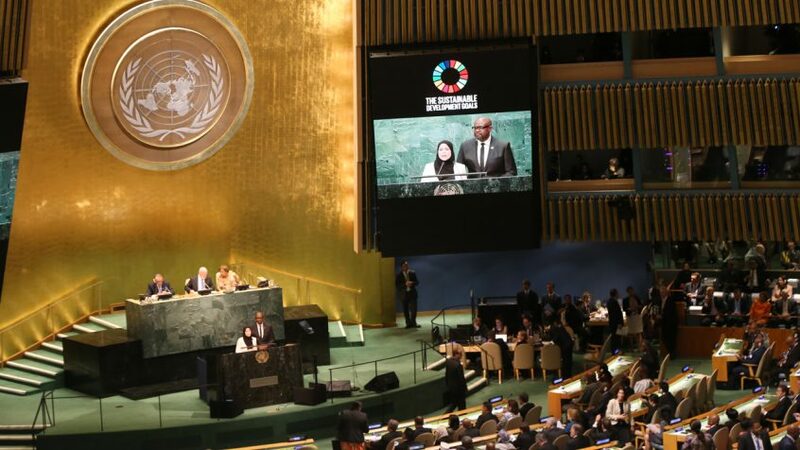 Since world leaders unanimously adopted the SDGs in September 2015, countries have begun to lay down the foundation necessary to achieve the Goals and to integrate them into their national development plans. In July this year, twenty-two countries presented their strategies for achieving the SDGs at the High-Level Political Forum on Sustainable Development—the central hub for providing guidance and recommendations on achieving the SDGs. At the UN Headquarters, several key events around the SDGs are taking place from 19 to 23 September. On 20 September, the President of the General Assembly, Peter Thomson, and UN Secretary-General Ban Ki-moon will host a commemorative event featuring presentations by SDG Advocate Filmmaker Richard Curtis, as well as Advocates Forest Whitaker, Actor and Founder of the Whitaker Peace & Development Initiative, and Alaa Murabit, Founder of the Voice of Libyan Women. On 21 September, the Secretary-General will convene a high-level meeting to accelerate the entry into force of the Paris Agreement on climate change, allowing Member States an opportunity to deposit their instruments of ratification, acceptance, approval or accession to the Paris Agreement and to recognize countries that have already joined the agreement. Other key events include the launch of 17 UN Young Leaders for Sustainable Development on 19 September. These leaders will work with the UN to engage young people across the globe in the implementation of the Goals.